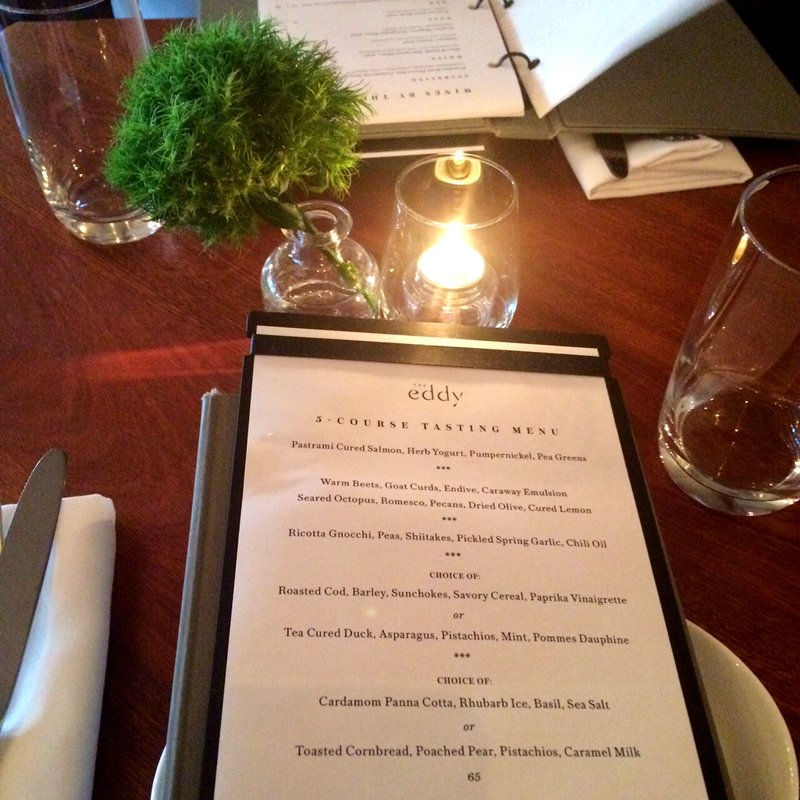 Part two of my birthday adventure was dinner at this adorable, trendy and upscale American cuisine spot in the Lower East Side, The Eddy. 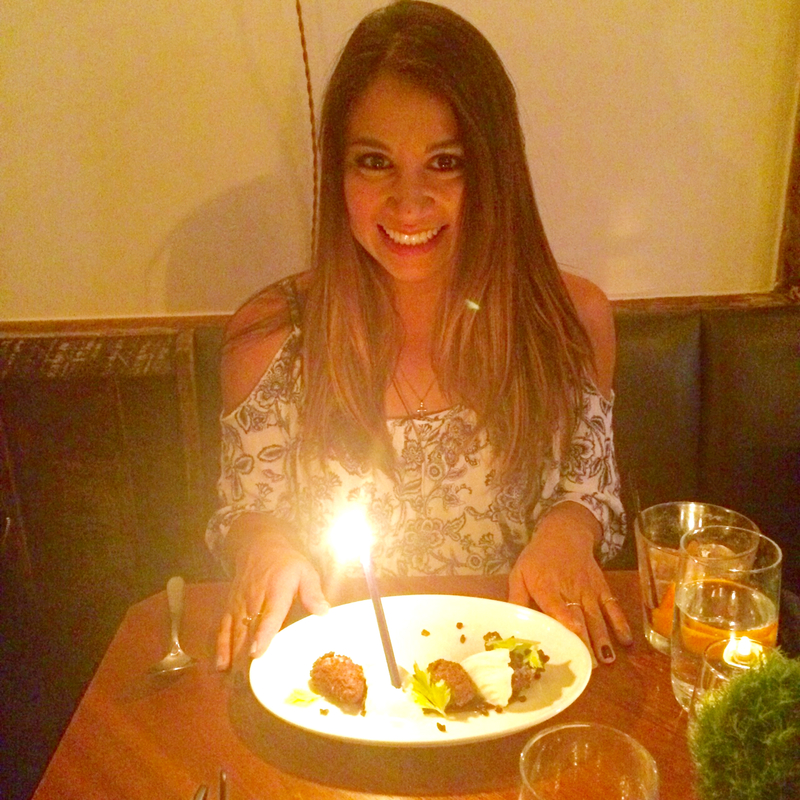 The atmosphere was super warm, charming and so cozy—perfect for a bday dinner with my man! Plus, the staff was super friendly and I loved the décor. Especially the tiny Dr. Suess-esk trees that spiffied up each table along side a small candle. Side note, I have zero clue what music they were playing, but it was so weird and awesome at the same time. There was one bizarrely catchy spoken word song… I really should have Shazamed it. Anyways, the food was beautifully presented and absolutely delicious! Very creative dishes that had lots of flavor in each bite. My drink tasted like an orange creamsicle- so refreshing and creative! It was sweet and salty, just how I like most things I consume! 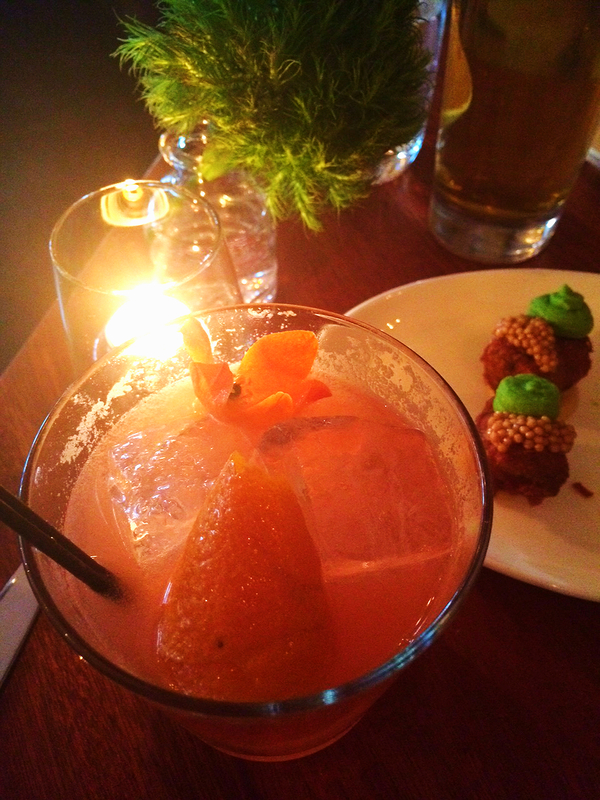 And very pretty- the vibrant orange color and the sweet little flower made the drink even more special! Bacon. Tater tots. YUM. This appetizer was so fun and cute! It was an excellent twist on a classic snack 🙂 The slight sweetness balanced out the spicy mustard and salty-savory of the bacon flavors perfectly. DUDE. I obviously got this dish. I loveeee belly! Pork belly, lamb belly… it was so good. The belly had a salty, slightly crunchy outer skin and on the inside had a fatty, savory and super indulgent flavor and consistency. 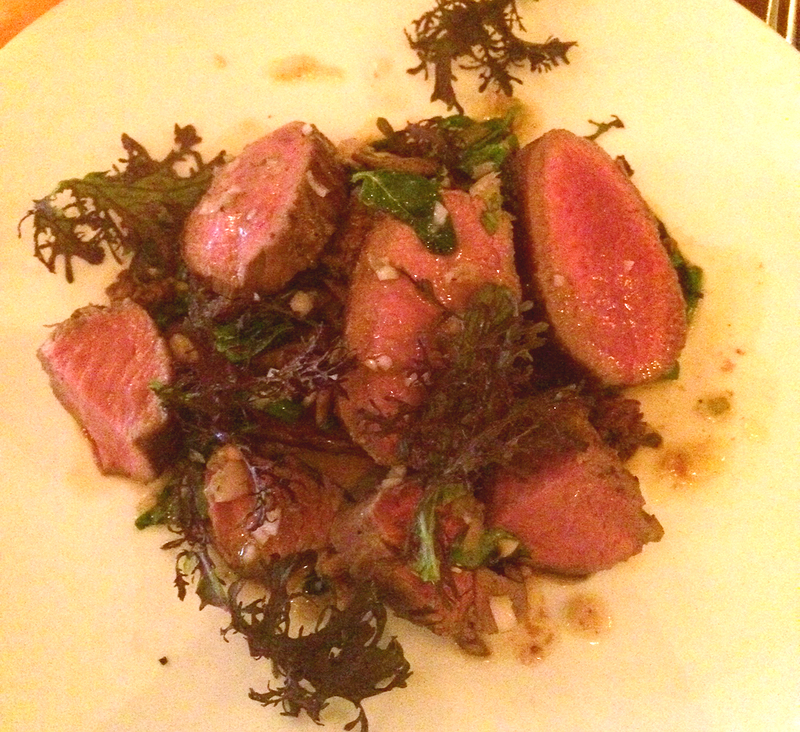 The loin was tender and juicy too. In fact, the whole dish was spectacularly seasoned! I also learned what spaetzle is: Späetzle are a kind of soft egg noodle or dumpling found in the cuisines of southern Germany and Austria, Switzerland, Hungary, Alsace and South Tyrol. Thank you wikipedia! My bf got this one- also yummy! 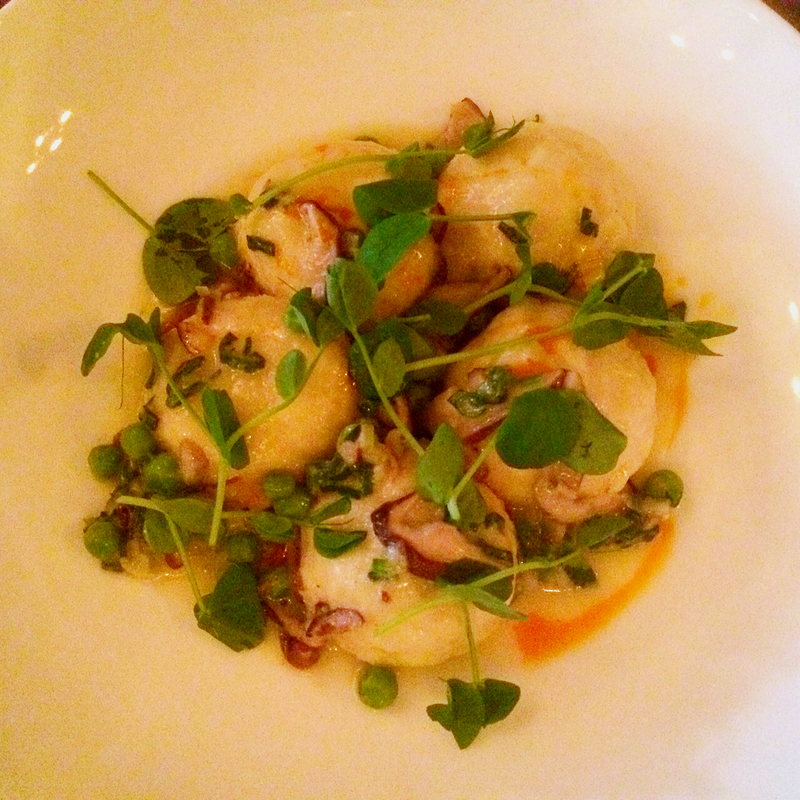 They were like… cheese stuffed heavenly pillows of deliciousness. I also liked the contrast of the fresh n’ sweet peas. 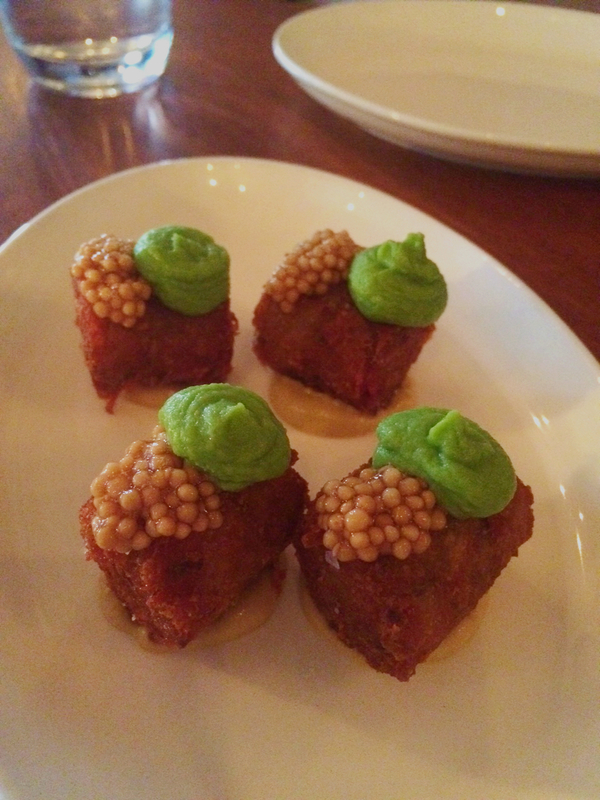 Those are the fanciest tater tots I’ve ever seen!